I have a few reading goals for 2019 that fall outside of challenges, but I can’t help getting wrapped up in challenges, as well. Reading challenges are such a fun way to force yourself out of your reading comfort zone. They’re also a great way to keep your brain working and your creativity going; you have to think up books for the prompts or categories, which will keep you thinking about books at all hours of the day. 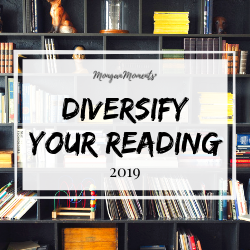 I decided to host my own reading challenge in 2019, the Diversify Your Reading Challenge! Click here to learn more about it and click here to join the Facebook group. The challenge is a 12 book reading challenge focused on reading 12 different genres throughout the year. I’m already getting excited about some new genres I’ve never even considered before. I can’t wait to get started! Most excited about…Middle Grade & YA. I’ve been so impressed with some of the topics covered in books aimed toward a younger audience, but I never actually take the time to read the books. Can’t wait to dive into some MG & YA reads! I love the PopSugar Reading Challenge, even though I never finish it! It’s so fun to try and find books that match each prompt, and is a great way to explore your to be read list (and add to it). As always, there are some difficult prompts this year, but also some really fun ones. I’ll be sharing my reading list soon! Most excited about…reading Little Women. I don’t think I’ve ever read it! Or, if I have, I don’t remember. It’s a classic and I want to read it and it fits multiple Popsugar prompts. So I have no excuse not to read it! The Reading Women challenge is totally new to me, but I love that it is focused on female authors. 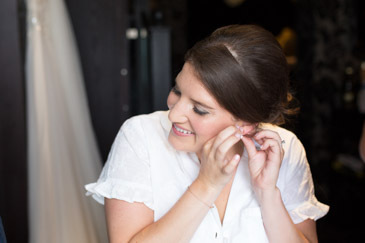 Similar to the Popsugar challenge, there is a list of prompts. 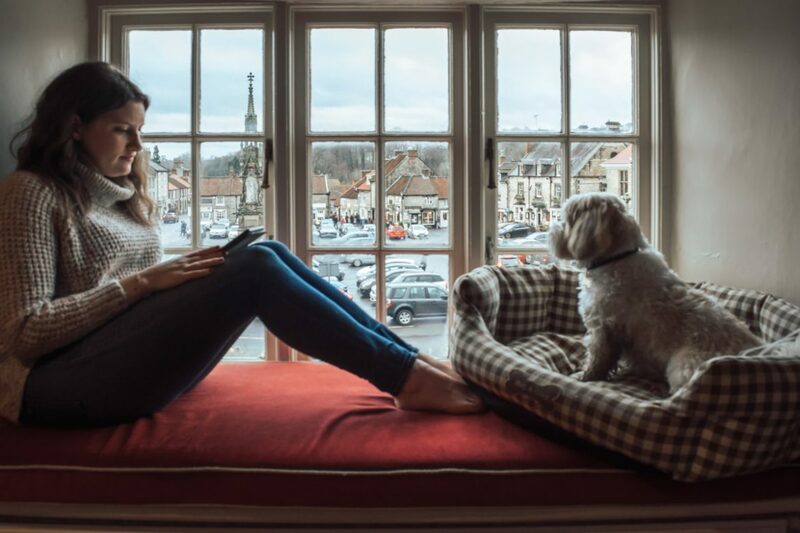 The Reading Women challenge has 24 prompts with two bonus prompts. I have no doubt that I’ll discover some great books through the Reading Women challenge! Most excited about…reading a book about or set in Appalachia. I know surprisingly little about the region considering the fact that I grew up on the east coast, so I’m eager to learn more. Historical Fiction is my go to genre, so this reading challenge immediately caught my eye. Hosted by Passages to the Past, the challenge is basically just to read Historical Fiction. You don’t have to ask me twice! I’m aiming to be a “Renaissance Reader” and read 10 historical fiction novels throughout 2019. That should be plenty enough to satiate my craving for HF while still allowing me time to explore other genres. Most excited about…having an excuse to read more Historical Fiction! It’s by far my favorite genre, and I’ve been nervous that I won’t have time to read a ton in 2019 while I’m trying to diversify my reading. So now I have an excuse to pick up any HF novel that catches my eye! I am sure some seasonal challenges will come up throughout the year, and I’ll add them to this post. I’ll also be adding my links related to all of the challenges, so think of this as my master 2019 reading challenge post! My overall 2019 reading goal is to read 60 books. The challenges above total up to 96 books (LOL, not happening!). So, if a book qualifies for more than one challenge, I will tick it off for more than one challenge. I’m extremely flexible when it comes to challenges because it’s more about identifying a book that falls under each category than anything else. I love the challenge and creativity involved in picking a book for each category. Sometimes it’s even more fun to stretch a book to fit into a category than to find one that fits perfectly. It’s all about the challenge! Wondering how I keep track of my reading goal progress? Click here for 5 ideas for tracking your reading! If you’re looking to participate in a reading challenge in 2019 and don’t know where to start, check out this master list of 2019 reading challenges! Which reading challenges are you doing in 2019?